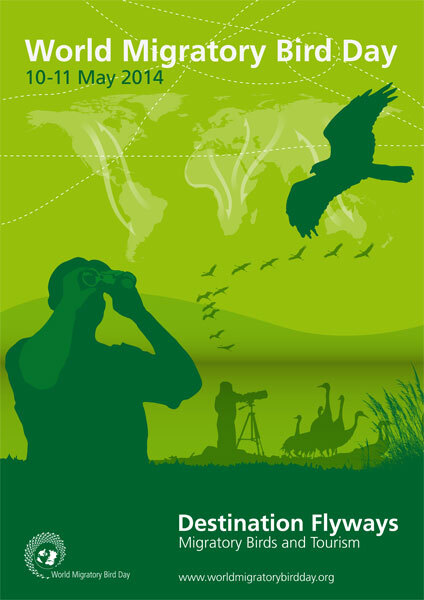 This year’s World Migratory Bird Day theme “Destination Flyways: Migratory Birds and Tourism” will highlight the links between migratory birds, local communities and the global wildlife watching and tourism industry. More than one billion people cross international borders to travel each year, of which three million specifically pursue bird-related tourism. Eco-tourism is one of the fastest growing travel sectors in the world, and activities such as bird watching and bird photography can contribute to sustainable tourism as well as to bird conservation. On the second weekend each May, people around the world take action and organize public events such as bird festivals, education programmes and birdwatching excursions to celebrate WMBD. Migratory birds connect all corners and almost every environment of the world along their migration paths. WMBD is a global event and also hopes to connect the world, and bring together organizations, governments and dedicated people to protect migratory birds for future generations.